Councillors in Dane Valley are pressing Thanet council to create a ditch around the green in a bid to stop any more traveller encampments from setting up there. The green was occupied throughout April and the beginning of May by two successive groups. The first group arrived on April 5 and left on April 13 – apparently to another spot on the isle. A second encampment appeared on the site just hours after the other group of Travellers had been moved on. 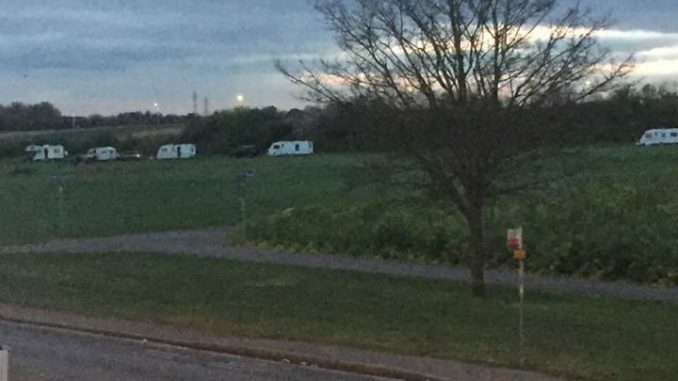 During that time parents of pupils at Drapers Mills school in Margate were advised to make sure their children avoided the Dane Valley track by the green – because of human waste allegedly at the site where Travellers had set up the encampment. The issues were reported to Thanet council but ward councillors said it took too long to deal with and the noise and the mess caused issues for residents. Now ward councillor Gary Hillman is calling for the ditch to be created to prevent any more camps. 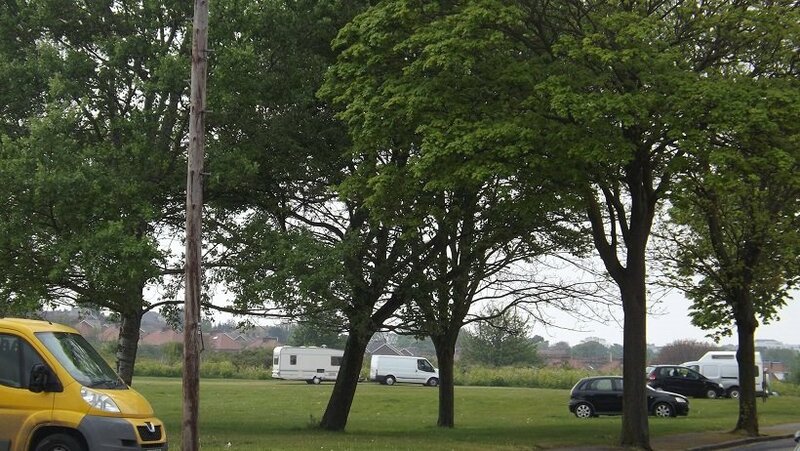 He said: “We need to find a solution to Travellers on Dane Valley green. Fencing and posts will be expensive and ineffective. Take one post out and they are in. 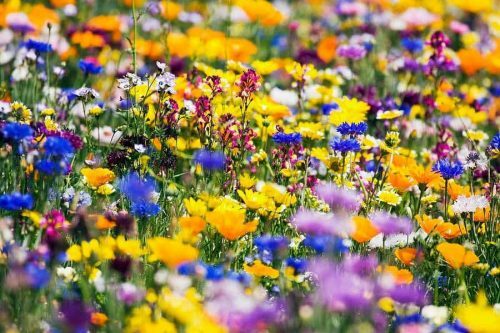 “Cutting a ditch along the perimeter and using the same soil to make mound, sewing it with wild flowers, would be more effective. Thanet council has been contacted for a response. For council-owned land Thanet council would need to obtain a ‘direction to leave’ order from magistrates’ court. 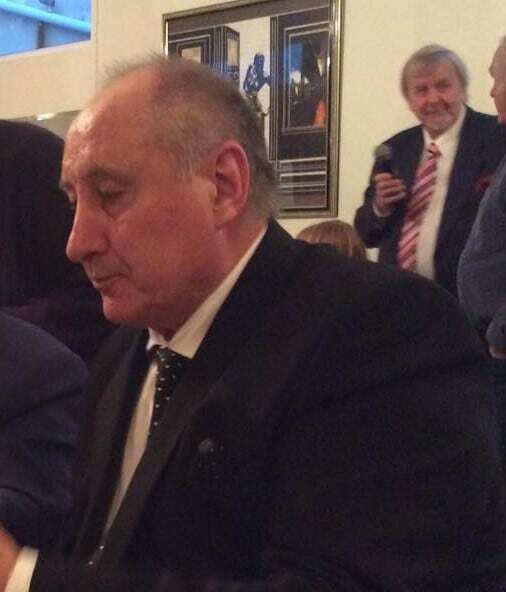 Show that the gypsies/travellers are on the land without consent. Have regard to the general health and welfare of the group and the children’s education. Ensure that the Human Rights Act 1998 has been fully complied with. The council must follow a set procedure that is based on Government guidance. This procedure includes proving ownership of the land, carrying out assessments for the health, welfare and education criteria, and assessing the impact of the encampment on its location and local neighbourhood. Once these have been carried out the council can use this information for the service of notices and summonses to apply for a court order for eviction. For privately-owned land the landowner can attempt to agree a leaving date with the travellers or take proceedings in the County Court under the Civil Procedures Rules 1998 to obtain a court order for their eviction as trespassers. The landowner may be in breach of planning legislation and the Caravan Sites Act 1960 unless they have already obtained planning permission for a caravan site. 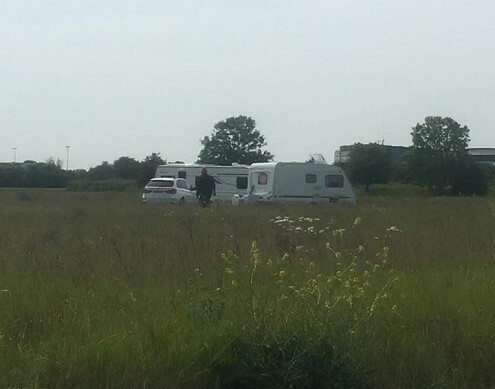 If there is no planning permission the council may take proceedings against the landowner to require removal of the illegally parked caravans.